Home > Archive by Category "Criminal Law"
The incarceration of a loved one can be quite emotionally draining. While most state laws in the US provide visitation rights to friends and family members of inmates, exceptions can arise depending on the nuances of that particular case. For instance, the laws laid down by the Federal Bureau of Prisons mentions that each inmate is generally allotted 4 hours every month for visitations. However, most jails in Florida and New Orleans have instead resorted to paid video-calls between inmates and their loved ones, cutting down on or completely doing away with in-person visits. Knowledge of the right channels to pursue can help you connect quickly with jailed loved ones. There are many websites that are useful for looking up an inmate’s detail and finding legal assistance for visitation rights. It, thus, becomes extremely important to be thorough with your state’s jail laws, the category under which the felony falls, and the kind of visitation rights you are looking for. What are the Different Types of Visitations? Contact visits is the most widely prevalent category of visitations across the United States. The visitor(s) can sits across a table from the inmate, and physical contact is restricted to greetings and farewells. Holding hands is strictly prohibited. Frequent violation of these rules can lead to suspension of visitation rights. These visits are usually limited to a short span of time. Non-contact visitations separate the visitor(s) from the inmate via a glass partition, and communication takes place through a phone. These conversations are generally supervised by a prison guard. In the last couple years, however, paid video visitations, as mentioned earlier, are becoming more and more common. Conjugal Visits: Are They a Possibility? Conjugal visits are considered a positive solution to the mental burdens of an inmate as also an incentive for them to comply with prison norms in the hope of an early release. In the US, prisoners in federal custody are not entitled to conjugal visits. However, prisoners in state custody are governed by that particular state’s laws. Currently, only California, Connecticut, New York and Washington allow conjugal visits, with California being the only state to extend these rights to homosexual couples as well. Visitors need prior approval from jail authorities before being allowed to visit. Prisoners, who are in the process of being transferred from one jail to another, or are yet to be processed into the system, may not be allowed visitations before an approved visitors’ list has been prepared. Additionally, children, especially those not in the custody of the inmate, are generally not granted visitation permits. Religious visits by priests or clergymen are allowed, but also restricted in their scope. Unless the accused or the convicted inmate has been booked on grounds that hamper national security or has been deemed a threat to society, visits by lawyers are generally allowed and granted scope for confidentiality. Will my Jailed Loved One Be Granted Visitation? Only in certain cases like solitary confinement, or those convicted or accused of grand felonies are visitation rights completely eliminated. However, they are subject to limitations, strict rules and supervisions by prison authorities. Visitation rights can be temporarily suspended by the prison authorities on grounds like non-cooperation on the part of the inmate, violation of visitation rules by listed visitor(s), attempt at smuggling contraband, and other such cases, where legal preventive measures are deemed necessary. These can, however, be challenged in court if the inmate and his family feel that they are unjustified. The jail authorities will be running a background check on your profile and cross-verify the information you have put down. If any of them turn up erroneous, you can be denied visitation rights. You can also be denied on other grounds like if you have a prior conviction of your own, you are already on another inmate’s visitation list in the same prison, you are on probation or parole. You can appeal the decision in court within a certain time frame. Approved visits by minors, accompanied by an adult, require special application to be filled out. Each prison has its own set of rules governing visits. Ideally, you should call the prison helpline and ask them the dress code, what you are required to bring, what items you are not allowed to enter the prison premises with, and what you can pass on to the inmate when you come to visit. Visitors are required to produce a proof of identity at the time of arrival, so ask them beforehand which identification proofs they accept as valid. The criminal justice system in the US can become quite bureaucratic and difficult to understand for the layman to approach and understand. A legal counsel is deemed a necessity in such cases. A qualified lawyer can not only help you get in touch with your loved ones on the other side of the bars, but also expedite their release. Certain cases become eligible for pro bono, which means that the case is worked on by the legal team free of charge. Frequently judges order that suspects get GPS bracelets during probation and pre-trial release. Even though the clients who agree to wear the bracelets avoid continued detention. Well, it is customary that there is some punishing effect in the end. You may get additional arrest warrants, needed for frequent court visits, and charges of tampering. If you think that you need a professional to assist you get out of the injustice being practiced, as per Milwaukee criminal defense attorney, Matt Meyers people are likely to get preventable problems without doing anything wrong. Often, the devices can add up to the defendant’s fault, and severe penalties result. The article highlights the concern about ankle bracelets having microphones. How Do Ankle Bracelets Monitoring Work? 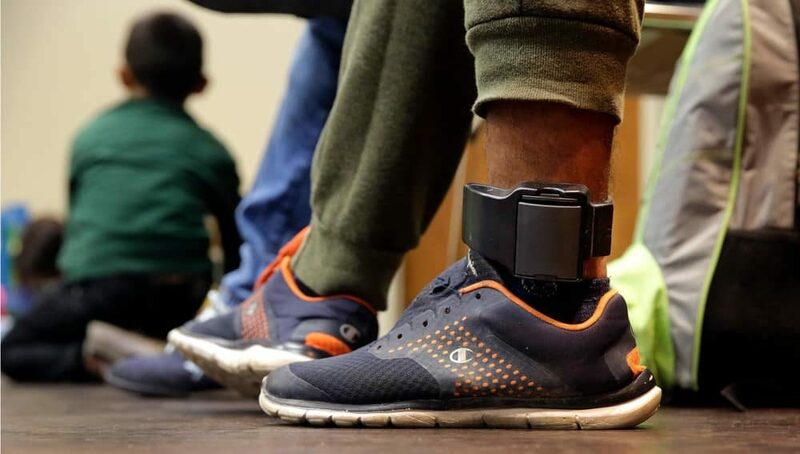 The device, GPS ankle bracelets, are often used as a correction system that monitors offenders actions without the need for permanent detention. Many times the bracelet denotes the period between trial and imprisonment. At the same time, this allows an individual to continue with the regular life but with limited undertakings. Well, there are many types available that suit every kind of offender. The truth is, in addition to the well-known features, GPS ankle bracelets have added communication and sensor devices. For example, a drug convict may get the type that occasionally monitors the sweat produced to tell the degree of soberness. Sometimes, the tracker has a two-way sensor system. With this, the correctional officers can notify the wearer not to go beyond the limit of the safe zone. The monitoring system as well sounds an alarm in case the offenders remove the anklet, to avoid escaping attempts. The design of the electronic monitors calls for all time wearing as the device is tamper-resistant. It has radio frequency indicator that communicates to the monitoring station. The programming may allow you to have some freedom in a specific area, and the functions alert the officers should let you go beyond the region. So, the conditions differ among individuals while some get forced to stay indoors for the whole period of the sentence. On the other hand, others get allowed to travel or work or travel within the community. What is the Furthest You Can Go With an Ankle Bracelet? Offender tracking system got introduced sometime back in the US. And now many countries continue to accept implementing the structure together. There is a centrally located computer which assembles the information from the installed monitoring device. The program works only for sentenced criminals undergoing work-release sentences or on trial and suspects awaiting a hearing. Dependent on the exact terms prearranged for you for house arrest, a schedule will get set for you. With this, you only get permitted to move from your residence during sometimes. For instance, when going for employment and additional accepted activities, like grocery buying or visiting the church. The rest of the times, you must remain in the specified range of the designed monitoring equipment. What If Your Ankle Bracelet Monitor Vibrates? The difference in kinds of ankle bracelet monitors also means diverse capabilities. Some vibrate when the supervising officer tries to connect with you. Should this happen, then follow the provided instructions to declare the receipt of the communication. In case it vibrates, and you did not get instructions, you need to inform your controlling officer instantly. If you assume such an event, then you are likely risking the device and your life. $5,000 payment, or both. Remember the warning signal not only gets detected by you but also the officers who control it. Can Your Ankle Bracelets Hear You Every time? Another easy way of making the offender monitoring system involves including a fixed-line phone. The leading part of the tracking means it is to prove the criminal’s agreement to the rules. The person needs to have the ankle bracelet on at all the time. In such a situation, the monitoring computer will call you at home or work. The server has a speech recognition software which detects who has received the call. N case the criminal is absent, or somebody else picks up the phone, such fraud gets discovered, and the parole officer gets notified. the device opts to ask random questions to confirm the real person. The monitor gets programmed to maintain the communication with officers to prevent rule violations. The notifications are enough to tell you that you get heard from the other end. However, you need to be careful since signal loss although a common incidence for many people, can lead to broken connection. The device’s batteries need regular charging to keep charge the whole day. Failure to do this may force you to go back home and plug in the wall outlet. Some offenders have stayed in jail due to the hard moments like during power loss. Who Holds Your Recorded Information? The ankle bracelets are enclosed, a waterproof device more prominent than the sports watch. Well, a receiver gets installed in the monitored criminal’s house by the authorities. The sensor will detect and send signals the anklet captures within a particular programmed range. The extent of the distance can get prolonged to include some part of the area that you reside in or get a full allowance. The monitoring systems have GPS navigation control to determine the moves of the person. All the collected information of your movements gets transferred to the central computer server. But the question is who has access to all the tracked data? Mostly, the details go to the corrections department, but other law enforcement team can access it too. In some instances, the hired monitoring company has the data. For a criminal to be on the safe side of the law, your movements need to conform to the specific time plan or set court requirements. If you have the chance to leave home during the day for work purposes, then the systems will ensure you take a direct route until you get back home or to jail. In case, you go beyond the limits; a warning gets sent to you. The ankle bracelet will vibrate, and it is possible to receive an alarm also. The GPS feature, although works depending on where it got activated, and sometimes gets on without notice. Thousand of people in court, however, feel the device and technology violates the privacy of attorney-client relations. There is no privacy with this since even your personal and private chats get heard and recorded without your awareness and a court warrant. Such recordings can open another case for you and can act as substantial evidence against you. So, to avoid the consequences you must be cautious of what you do or say. The microphones are listening and can send you back to jail. Finally, the first-time and non-violent suspects, jailing is not an ideal sentence. The best alternative is either a house arrest or monitored device, ankle bracelets. The system can watch all your activities and can make a call. If the phone gets answered, the central computer receives a notification which is accessible by the authorities. Indeed, the device can hear you and record whatever you say. There are many related restrictions, and failure to comply can lead you to prison. Understand the way the anklets work and find it better when you abide by the rules. Keep in mind the golden rule, never attempt to tamper with the systems, you will lose reliability and the expected privileges. So, avoid getting back to detention. What Should You Do If You Are Arrested for a Criminal Offense? Although each state has its own laws and procedures they follow when a person is charged with a criminal offense, the one good thing is that you are protected to some degree under the United States Constitution. In fact, most lawyers say that the process is fairly similar from state to state but the one thing is for certain no matter where you are charged and arrested for a criminal offense – talk to no one until you’ve hired an attorney. That should go without saying. If you’ve never been arrested before, it can come as quite a shock. Here is some of what you need to know. The reason you shouldn’t give any kind of statement to the police is because it can, and most often will, be used in a court of law. This is where altogether too many innocent people get themselves in hot water. Never thinking that what they say could be misconstrued, they feel they have nothing to fear since they know they are not guilty of what they are being accused of. You have Miranda Rights protecting you under the 5th Amendment in which you don’t have to say anything that might incriminate you. If you’ve never been arrested before and have no clue what the actual crime is, how do you know what is safe to say? Therefore, only talk to an attorney and have one present when you make a statement. Your freedom could depend on it! This is another area where many first offenders and innocent people aren’t familiar with. Many people believe that the moment they are brought into the station and booked, they can call a bail bondsman like Goldberg Bail Bonds that has bondsmen throughout the state of Minnesota. It’s easy to find them because they have so many locations, but it won’t do you any good until you’ve had a bond hearing. That may be the same day, the next morning or even longer if it’s a weekend or holiday. Yes, you should call a bail bondsman, but don’t waste your time until you know what your bail is set at. They can do nothing for you until then and will only tell you as much. Do You Really Only Get One Phone Call? You have probably watched dozens of movies where the person being arrested is allowed to make only one phone call. Actually, that may or may not be the case depending on where you were arrested, the seriousness of the crime you are accused of having committed and alas, your behavior during the arrest. Actually, in most places you are granted a reasonable amount of calls because under the 6th Amendment you are entitled to legal defense the moment proceedings commence. That would be at the time of your arrest, would it not? However, taking all of the above into consideration and not being familiar with the judicial system in your locale, don’t take anything for granted. You may only get one call and you may be allowed half a dozen. You may be given bail the same day and you may need to wait a reasonable length of time until court convenes again. There are so many variables that the only thing you can be sure of is the fact that you should not speak to anyone until you’ve hired legal counsel. Your freedom could very well depend on it. Isn’t it better to always be safe than sorry? Any good criminal defence attorney knows his or her battling grounds. Thus, they stand a better chance of knowing what happens there more than you do. You need them because they have already mastered the art of defending other crime related cases. Through these cases, they have gathered relevant skills and knowledge which they can always use in your favour. They can always use such skills to swing a case in your direction. On the other hand, they know how to look for loopholes in crime related cases. Once they have a loophole, they always use it to your benefit. One thing you should never forget is that such abilities can only be exercised by someone who has gathered enough experience. With experience, you will always be more confident of the case brought against you. Any attorney you hire should always represent you legally. Whether he or she is a criminal defence attorney or a divorce attorney. Legally representing you involves defending you and at the same offering guidance on the nature of your case. It your criminal defence attorney who will advise you on what to respond to and what not to respond to. Defending you generally means, making sure that you don’t get to jail or if you do, you get a short jail term. Some crimes have heavy penalties, it is up to your criminal defence attorney to make sure that the punishment isn’t severe. If you are a family person, you can’t afford to be away from your family for a very long time. That’s why your lawyer should use all means possible to get you back to your family. Crime related cases require a lot. You will always get tired once the case is done. However, that doesn’t have to be the way forward. With a criminal defence attorney on standby, you will be able to rest because they will take care of the paper work. The paper work in each case is different. A criminal defence attorney has colleagues who will always ensure that all the paper work is done and there is proper filing of each document you agree on with the court. Sometimes, the paper work will involve typing of agreements or even drafts on the court proceedings, this is something you can’t handle if you aren’t used to it. That why you need to hire a criminal defence attorney from www.caldwellkearns.com/practice_area/criminal-defense/. If you have a need to retain the services of a criminal defense attorney, it may be the most consequential decision that you make in your entire lifetime. When you hire an attorney, you are not just employing an attorney, but you are also hiring the person and the background. There are many factors to consider when you select a lawyer that will help you make the right decision. Here are some of the things that you should think about before you choose your criminal defense attorney. Most importantly, you will want to hire a lawyer who has a solid reputation among their colleagues and in the legal community in general. Stated simply, in the legal community, perception is the reality. It follows that a lawyer is their reputation. A competent and professional lawyer will be thought of as such by their colleagues. You can get a sense of a lawyer’s reputation by asking their colleagues about them. In addition, there are reviews of a lawyer that are available in the public domain. These reviews can give you a sense of what it is like to work with the lawyer. When you are seeking a lawyer, it is best to hire someone who specializes in the area of law that you need. When it comes to criminal law, you will want to find someone who is a dedicated criminal defense attorney. It is best not to hire a legal generalist for a matter as vitally important as a criminal defense. There are considerations that are specific to a criminal proceeding that a lawyer must know, and they learn these skills by practicing in the area every single day. Hiring a corporate attorney will not help you achieve the best result in a criminal matter. Similar to the need to hire a specialist, you should also make sure to hire a lawyer with the right type of experience. There is no one-size-fits-all criminal defense lawyer. You could need a lawyer who specializes in white collar matters. Alternatively, you may require a lawyer who handles a different type of case, such as a DUI. Make sure that you know what type of criminal lawyer you are hiring before you sign the retainer agreement because one type of lawyer may not be able to handle your specific case. A lawyer’s background may also be able to tell you something about the quality of the lawyer. Check the attorney’s educational pedigree and some of their professional qualifications and then read more about the attorney. While there are many good lawyers who graduate from lower-ranked law schools, you have a better chance of success when you retain a lawyer who excelled at a top law school. If you are in the midst of a complicated matter that may require some negotiation with law enforcement, you may want a lawyer on your side who you know has some connections with those agencies. For example, a lawyer who formerly worked as a prosecutor may have some connections in the prosecutor’s office. If your attorney has worked with these offices before in any capacity, the prosecutor or law enforcement may be more willing to negotiate and deal with your attorney. While criminal defense is not an area where you should seek to cut corners and costs, you also do not have an unlimited budget and do not want to emerge from any proceeding financially destitute. It is important to weigh the benefits of the lawyer versus the costs to retain that attorney. You should be conscious of the fact that you could run out of money during a long proceeding, and if that happens, you may be forced to seek new counsel. An outgrowth of the consideration about cost, certain lawyers may have requirements of how their fees are paid. Each lawyer will require you to pay a retainer. Some lawyers may require a larger retainer up front that you will need to come up in order to hire the lawyer. The attorney may offer a payment plan that will make it easier to pay the legal fees as they arise. This will make it easier for you to keep your lawyer throughout the course of the proceeding. You will have to interact routinely with your lawyer during the course of your proceeding. The lawyer explains the law to clients and acts as counselor and adviser. It is essential that you are comfortable with the lawyer and have some sort of rapport. A criminal proceeding is uncomfortable by nature and you will need a lawyer who will put you at ease as opposed to making your life even more difficult than it already is at this point. One of the worst things that a lawyer can do is fail to return phone calls and emails. In fact, a lawyer is under a professional obligation to adhere to a certain level of responsiveness to their clients. You will be able to tell how responsive a lawyer is while you are vetting them. Ask point blank how long it takes a lawyer to respond to emails and phone calls. While it is unreasonable to always expect an immediate reply, a certain degree of responsiveness is expected. Although it is not necessarily a make-or-break factor in choosing which lawyer to hire, the ability to get a read-out on your case without incurring a bill can be helpful. In addition, during a free consultation, you should be able to get a sense of how a lawyer approaches an issue and interacts with you. A consultation can enable the lawyer to gain your confidence and trust without charging you. This is almost like getting a free sample of legal advice. When you make such an important decision, it is essential that you approach it critically and paying attention to all of the potential factors. Sometimes, the right lawyer can make a difference in the legal outcome of your case. Certainly, this is not a decision that you can make with your eyes closed. By weighing all of the factors, you can end up with the right lawyer for you. 21st century is the age of plea bargain in the United States of America. Gone were those days when people would subject themselves to a trial after being charged with a crime. This reality was acknowledged by Supreme Court Justice Anthony Kennedy last 2012. Nowadays, very few cases go to trial as the majority of felony convictions are now the result of plea bargains. The Bureau of Justice Statistics in US claimed that only about two-thirds of felony defendants were convicted, while approximately more than 95% of these convictions transpired through a guilty plea. In a plea bargaining, defendants, for whom there are clear evidences of guilt; accept responsibility for their actions as an exchange of getting leniency. At the end of the day, a time-consuming and costly trial is avoided and everybody is playing safe. Plea-bargaining, in layman’s term, is the agreement of a lesser penalty in return for a guilty plea, in which a prosecutor will offer bargains to defendants such as dropping some charges, replacing the original charge with a less serious one or seeking a lower sentence. Legally speaking, plea bargaining is constitutional. It requires defendants to renounce the right to a jury trial, the right against self-incrimination, and the right to confront witnesses. Thus, defendants’ guilty pleas must be voluntary, and may only plead guilty if they know the consequences of doing so. There are three types of plea bargaining. First is Charge Bargaining that is used when a defendant pleads guilty to a less serious crime than the one originally imposed. Second is Count Bargaining that is used when the defendant pleads guilty to a fewer number of the charges. Last is Sentence Bargaining that is used when the defendant pleads guilty knowing what sentence will be given. Furthermore, it is legally binding. Legally binding indicates that an agreement has been consciously made, and certain actions are now either required or prohibited. Hence, it is a contract between the prosecutor assigned to the case and the defendant named in the case, who must abide by the terms of the agreement. As plea-bargain considered as a legally binding contract, a defendant breaking a plea bargain is affiliated to a breach of contract, leading the prosecutor to be no longer being bound by his or her responsibility in the plea deal. If, say, the prosecutor is the one who reneges on a plea agreement, the defendant can seek relief from the judge. The judge might let the defendant withdraw the guilty pleas or may force the prosecutor to follow the plea bargain. Hence, both parties should make sure that the plea bargain is recorded, in case a party would claim that a plea bargain was never been discussed. There are specific reasons why a plea bargain is offered by the prosecutor to the defendant. 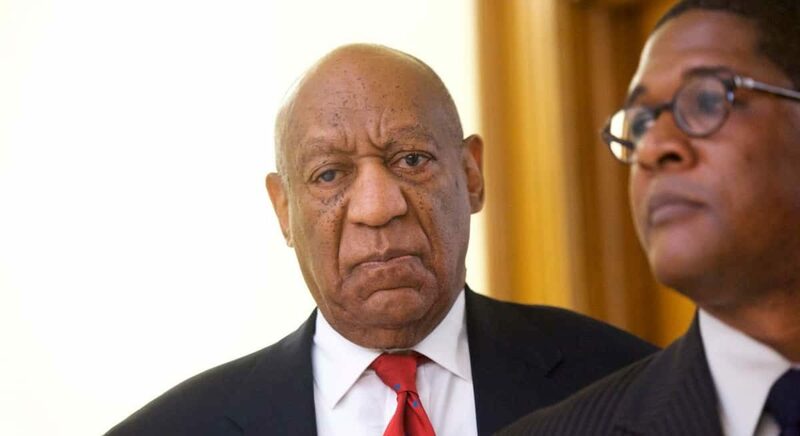 To start with, defendants can avoid the time and cost of defending themselves at trial, the risk of harsher punishment, and the publicity a trial could involve. What’s more, the prosecution saves the time and expense of a lengthy trial. Guilty pleas can be arranged in minutes, while criminal trials would take days, weeks, or sometimes months. With this, the court system is saved from the burden of conducting a trial on every crime charged. After the processes of getting criminal charges and initial hearing, an offender can then be offered with plea bargaining. In short, plea deals are done shortly after a defendant is arrested and before the prosecutor files criminal charges. An offender may only plead guilty if he or she actually committed the crime and admits to doing so in open court before the judge. When an offender admits to a crime, he/she agrees of being guilty and may be “sentenced” by the judge presiding over the court, who is the only person authorized to impose a sentence. The next step is to prepare for a sentencing hearing, only if when there is no trial anymore as the defendant pleads guilty. Upon taking into place, most plea bargains must be approved by a judge in a court of law. It can’t be approved by a judge, unless both sides of the process agree on the terms of the bargain. The judge will ask both sides if they approve of the terms. If one side does not agree of the terms, then the two parties have to go back to settling the agreement. Plea bargaining is an entirely private process. In most cases, no one besides the defendant, his or her criminal lawyer, the defense counsel, the prosecutor and sometimes the judge are present in the conference room. Also, everything about the plea bargain is not made known to the public until the bargain has been agreed upon by all sides involved. Generally, legal characteristics increase the likelihood of accepting a plea, since there is more uncertainty in outcomes for both chronic and more serious offenders. More generally, those who are taken into custody are more likely to accept a plea and are less likely to have their charges dropped. Other legal characteristics that can increase the chance of accepting a plea include the defendant’s prior record; the use of a public or private defender, such as the Legal Aed Criminal Lawyer in Fresno, California; the detention status of the offender; the seriousness of the current offense and prior record; the seriousness of the crime committed; and the strength of the evidence. One of the good things about plea deals is that either side can propose a plea. If the defendant’s lawyer feel there is an appropriate sentence for the crime and wish to avoid a trial, they can negotiate with the prosecution to find a punishment that they both agree as just. Defendants worry about how the punishment for their crime can affect their lives in the long run. Although the defendant will plead guilty to a crime if they accept a plea negotiated by their lawyer, it could be a lesser charge that won’t have such a negative impact on their life.